It has been so long since I posted anything and I apologize for that. Grad school and artistic rhetoric keep me busy. 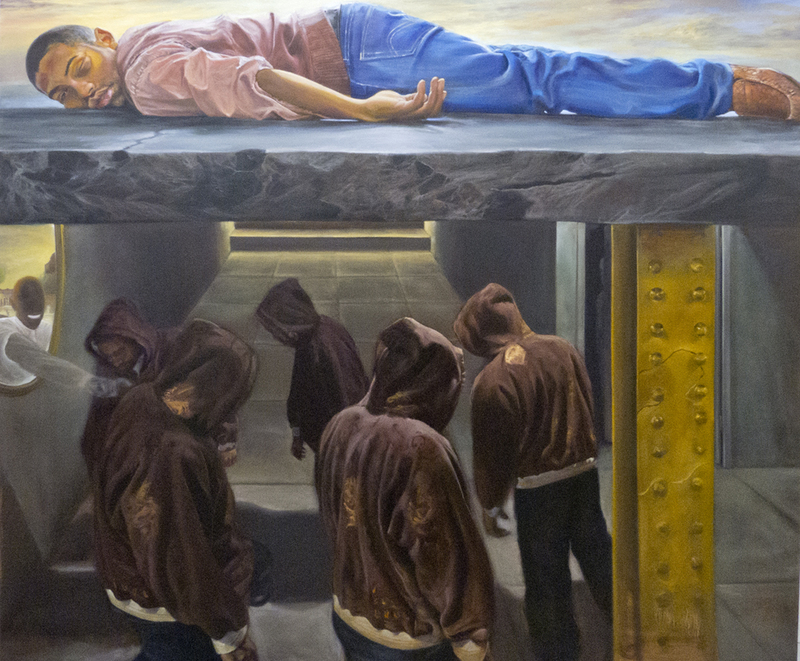 Any way this painting is titled " One day in the land of Milk and Honey", it may seem that this is in some way connected to the Trayvon Martin situation but this was created before that. Although that read of the work is an interesting conversation I hope that the painting extends beyond that to a very large and historical context. It is very upsetting though to think that a negative transformation of an object can be contextualized by the simple fact that it has come in contact with a Black body. I almost forgot I just recently received a scholarship from the national cowboy museum and I want to thank everyone who wrote a letter of recommendation for me and that I got a little dough for their efforts lol. I will post that scholarship stuff in a later post.